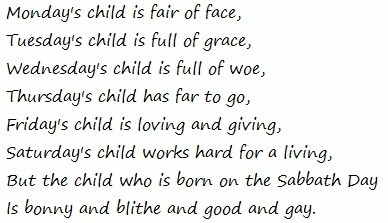 I am the host this week at Inspiration Avenue and the theme for the challenge I chose is the Days of the Week Nursery Rhyme that was once used to help children learn the days of the week. The challenge was to create something using any medium pertaining to the day of the week you were born. I have been crazy busy making handmade postcards for Inspiration Avenues first Postcard Swap, soooo, my submission for this week''s challenge is, of course, a Postcard. 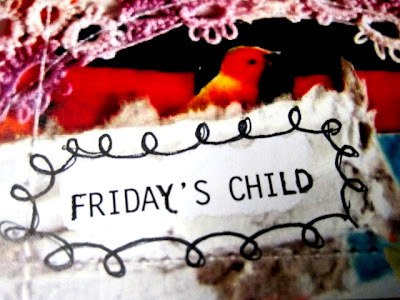 I am a Friday's Child, and I do love my Friday's! We don't usually give away anything with the weekly challenges, however, since I am the host this week and in keeping with the nursery rhyme on Friday's Child, I will be giving away my Friday's Child Postcard. 1. Just leave a comment here for one entry. 2. Follow my blog for another entry and comment here. back here for a third entry. Thank you for viewing my submission this week and all the fabulous submissions over at Inspiration Avenue. Roll over the title of this post and you are there! You are also welcome to come and play with us weekly! I think you are the first Friday's child I have seen so far. Your art is awesome, as usual, and I really adore it. I love the birds that your darling "child" seems to have gathered, too. And of course, I love sewing. So what could be better? Well, hmmm. Unfortunately, the link you provided did not match the photo or this week's post. I'm persistent, though and found you. And thanks for a wonderful challenge that even sparked my Tea Tuesday post with your comment about "dish towels" I turned into "Tea Towels." Thank you so much for your inspiring and encouraging words and thanks so much for alerting me to the incorrect link. I couldn't fix or delete in on the IA page so I just added another one. Number 14 should be the correct one. 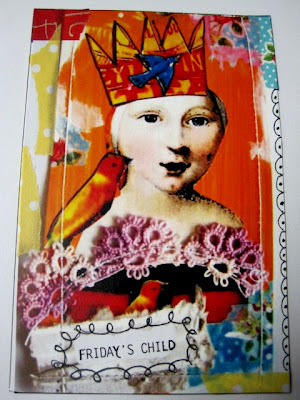 I like your Friday's Post Card and would give it to my daughter on her birthday since she was a Friday baby. Thanks again for hosting the challenge; fun! 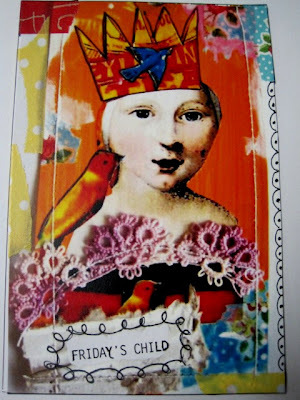 I have had a fabulous time with the postcard challenge and that will be my next post so stay tuned! 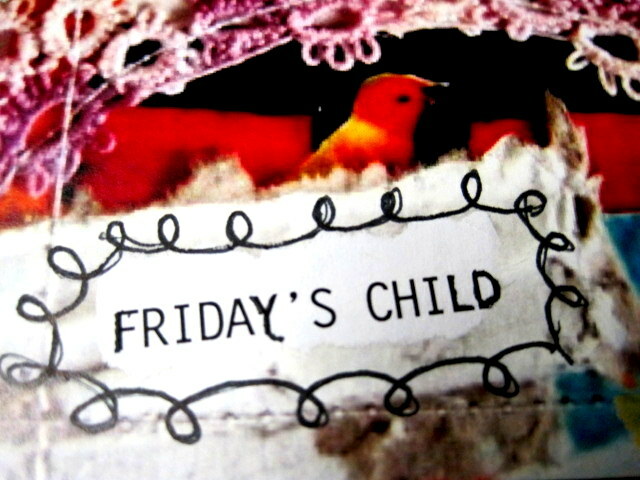 Oh Friday's child is so sweet. I am pretty sure she is a friend of mine. Oh she is so sweet. And I can tell she is loving and giving, just like you! I LOVE the way you add stitching to your art...I would love to try it, but I'd have to do it by hand since I no longer have a sewing machine. Your postcard is very sweet. I love the addition of the little pink appliques. Thank you again for a wonderful challenge this week!